I met Marcel Barel a few weeks ago when I was up at the Las Vegas Ski and Snowboard Resort for a ladies’ day. (Yes, in Vegas even the ski resort has a ladies’ special.) After we spent a few hours boarding, the girls and I retired to the lodge’s bar for wine and snacks and good conversation. At some point during the reception, the gentleman in this photo sidled up to me and almost immediately I realized I was speaking to someone very special. Marcel is, in many ways, the face of the ski resort. 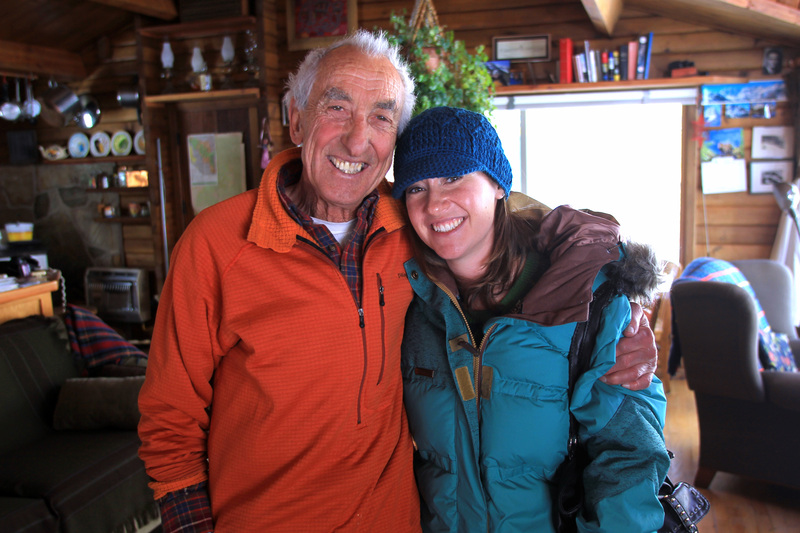 He’s worked there for 45 years, ran the ski school for a long time before his daughter, Gabrielle, took over and spends a lot of his time in a cabin just a few minutes away. A cabin without electricity or central heating. Did I mention he’s 79? Anyway, when I got back down to the Valley I couldn’t stop thinking about the man I’d just met and what an interesting story he had. So, a few weeks later I headed back to the mountain to spend a day getting to know Marcel a little better. The result is “King of the Mountain,” which ran in this week’s issue of Las Vegas Weekly. Enjoy the story, and next time you’re up on the mountain, keep an eye out for a spry skier with tufted eyebrows making his way downhill with visible skill. Say hi; you won’t be disappointed.